Introducing the alphabet to your little one should be fun. Whether it's through a simple craft or a new activity, it's important that the time spent is enjoyable! 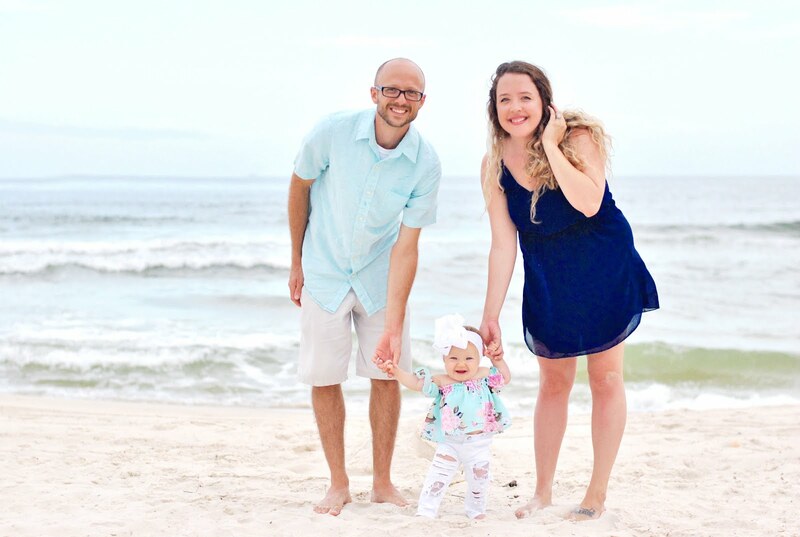 Delainey is a little sponge so she's a huge fan of our new daily time spent learning all of the letters of the alphabet. 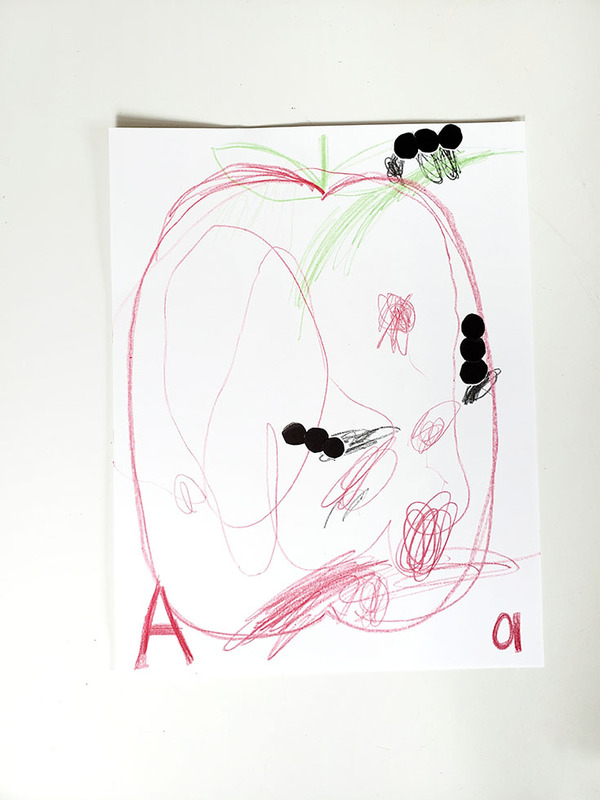 Today we're sharing the very first craft, our simple yet adorable little Ants on an Apple created almost completely by her, with guidance by me. 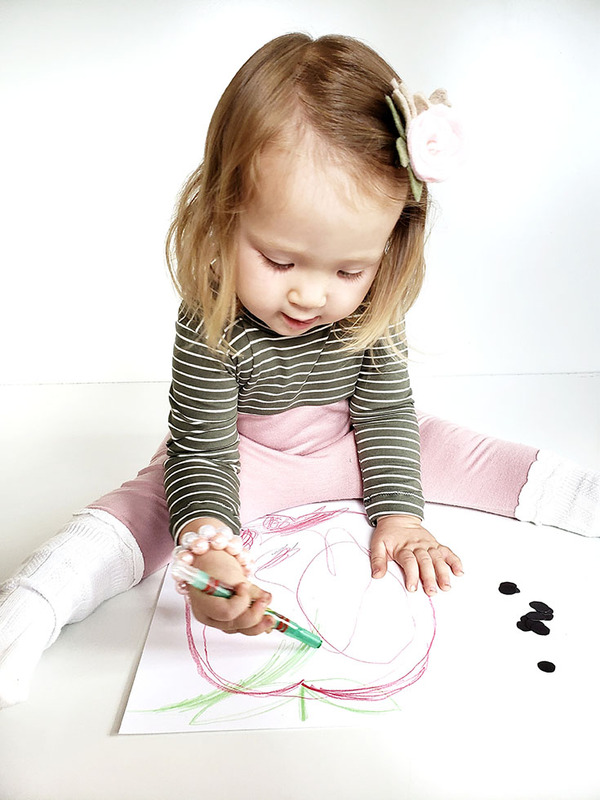 To make this simple project: You'll either draw a simple apple & leaf yourself and encourage your toddler to color it in OR ask your toddler to create the apple & leaf herself. Delainey did this herself, then I created an outline for her afterward. 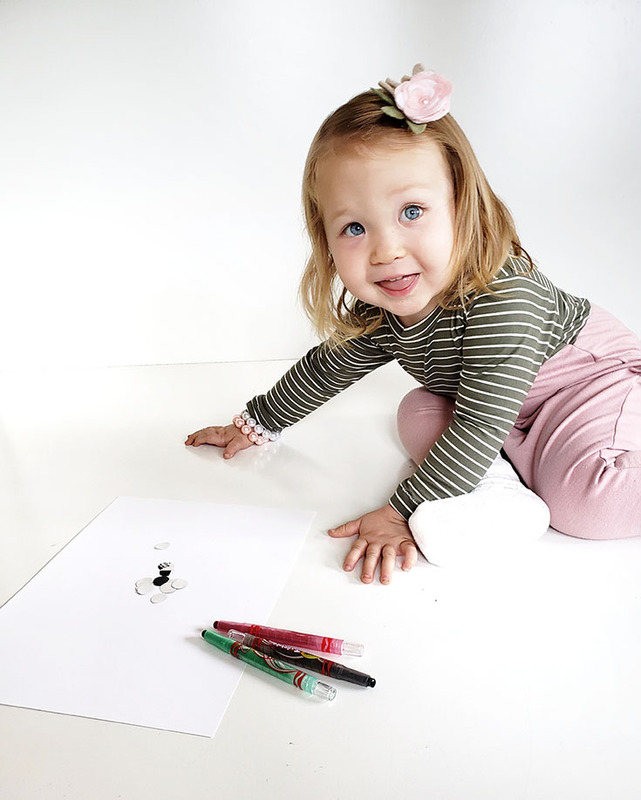 As we were scribbling her apple we were discussing the colors she was using as well as the shapes she was drawing - it's amazing how much she wants to learn, with nearly everything she is now asking "what's this?"... and now she's also started to quiz me on colors and shapes - which is equally fun & adorable. Once her apple was colored in some, we decided to start adding ants into the equation. If you know Delainey, you know she loves seeing creepy crawly ants so this craft was a dream come true for her. For this step, we simply used black circle stickers and placed them together in groups of 3 onto the paper. Then she scribbled some little legs on each ant, I added an uppercase and lowercase "A" on each side of her creations and we kept discussing all the "A" words I could think of! That's it - now you have a precious little "A" craft! Next up, we'll be sharing our silly yet fun birdhouse craft we made!